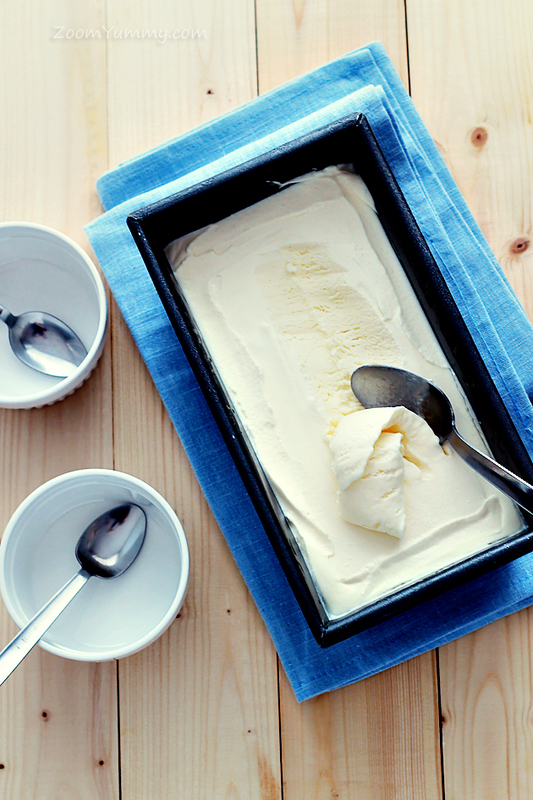 Are you in the mood for some good and rich homemade ice cream? Then you’ve found a good place! 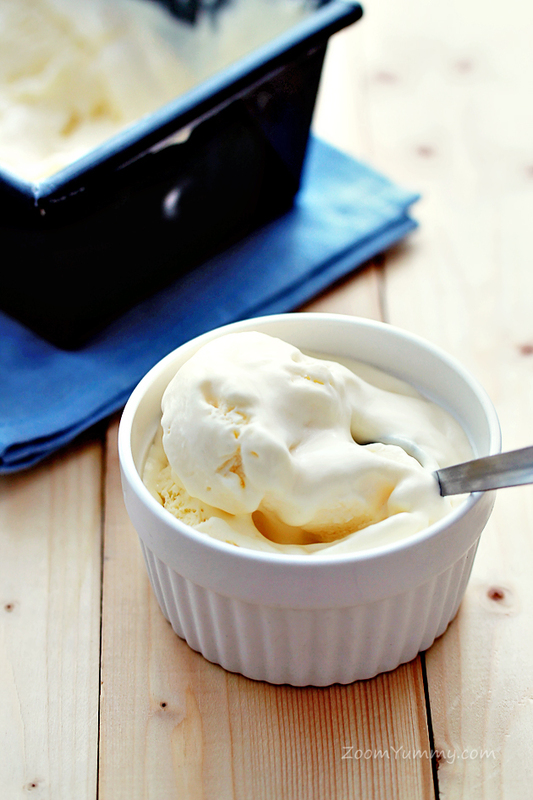 This vanilla ice cream is incredibly easy to make. All you need to do is combine only three ingredients! Yes! Just three! Great, ha? After that you just freeze the mixture in the back of your freezer for a couple of hours and the feast can begin! You know what? I really think you should try this! It is soooooo good! 1. 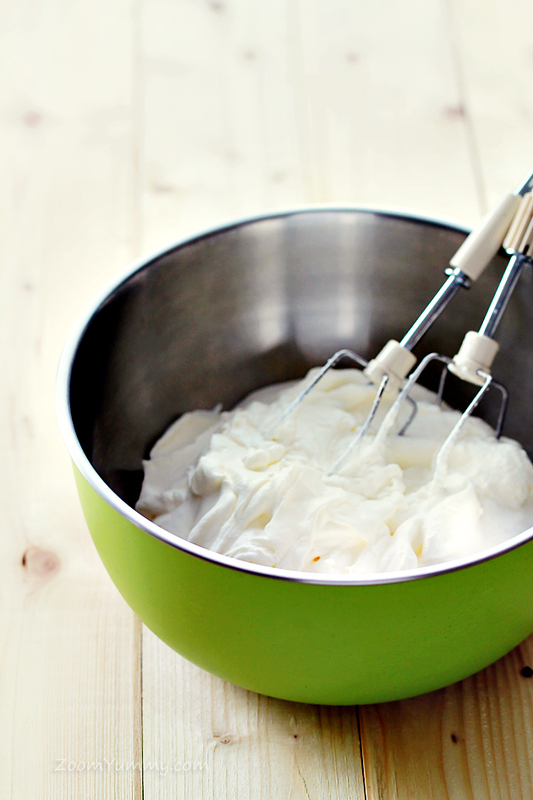 To make your ice cream, first, in a larger bowl, whip the heavy cream until stiff peaks form. 2. 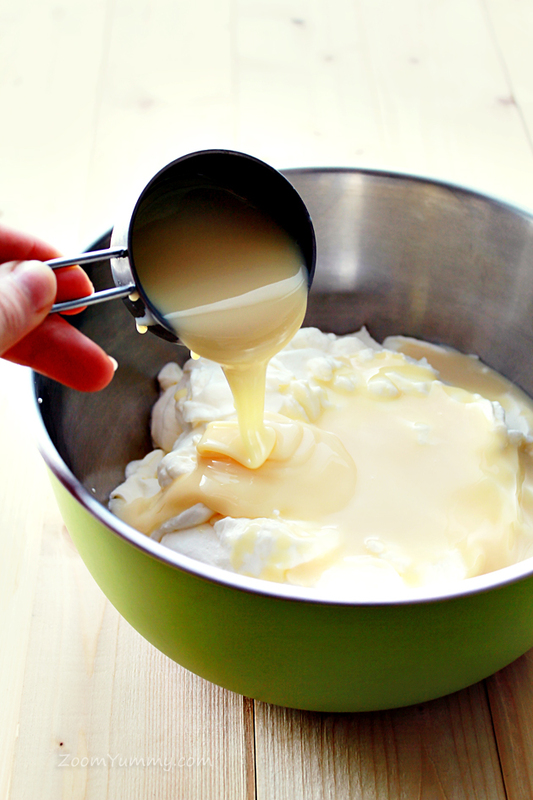 Add the condensed milk and the vanilla extract in the bowl. 3. Gently fold to combine. 4. 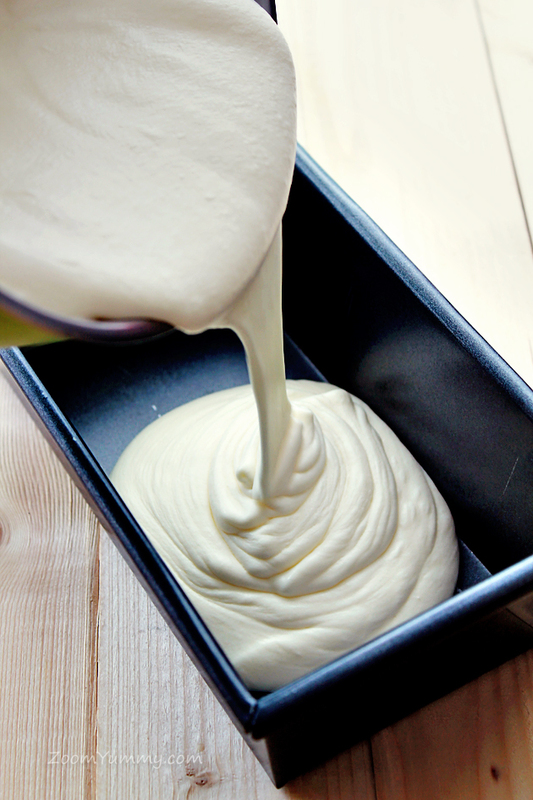 Now for the freezing part – pour the mixture into a freezer friendly container. 5. 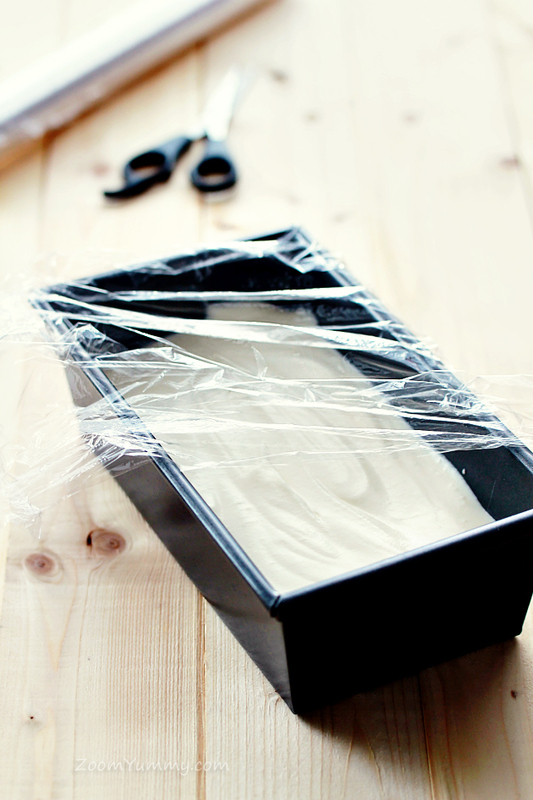 Smooth out the surface and put a lid or plastic wrap on the container. 6. Place the container in the back of your freezer and let freeze for at least 6 hours. Enjoy this delicious treat, dear friends! 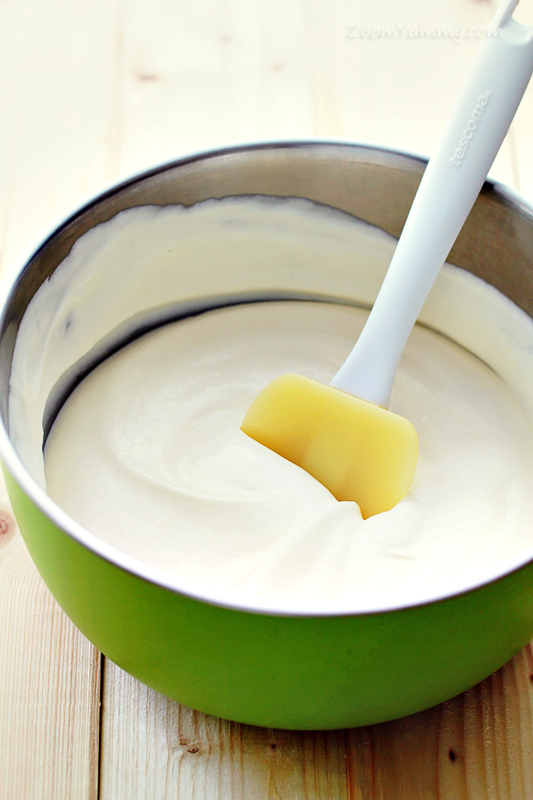 In a larger bowl, whip the heavy cream until stiff peaks form. Add the condensed milk and the vanilla extract in the bowl. Pour the mixture into a freezer friendly container. Smooth out the surface and put a lid or plastic wrap on the container. Place the container in the back of your freezer and let freeze for at least 6 hours. tahnk you for the recipe! 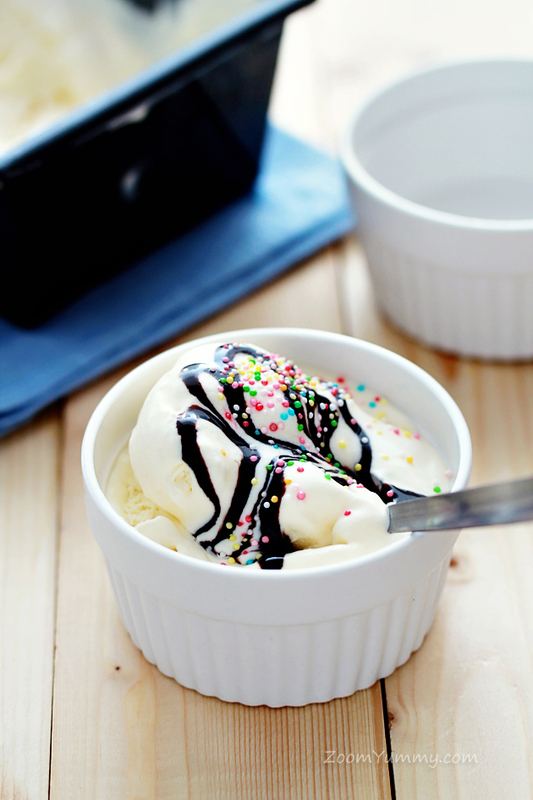 Oh yes ice cream!!! I love it. Going to try make one immediately!!! I made the and it was wonderful. We like it better than store bought. Is there a way to make chocolate ice cream with this recipe? This looks delicious. Is there anyway to make a Neapolitan version of this? I’m brewing milk kefir now and I wonder if that would whip up? Perhaps just as an addition if not. Otherwise, the flavoring possibilities are endless… Someone made non-machine ice cream for a potluck once but I forgot to ask her how. Now I don’t need to, thanks!